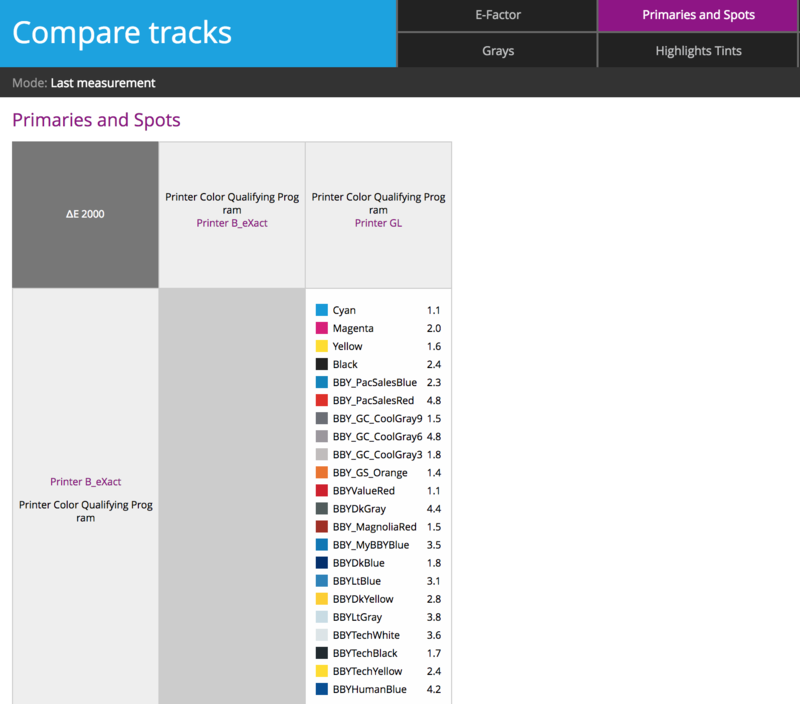 The Print Inspector Dashboard shows that the Epson is 1.6 E-Factor to GRACoL and the Canon is 2.1 to GRACoL, but how close are they to one another? 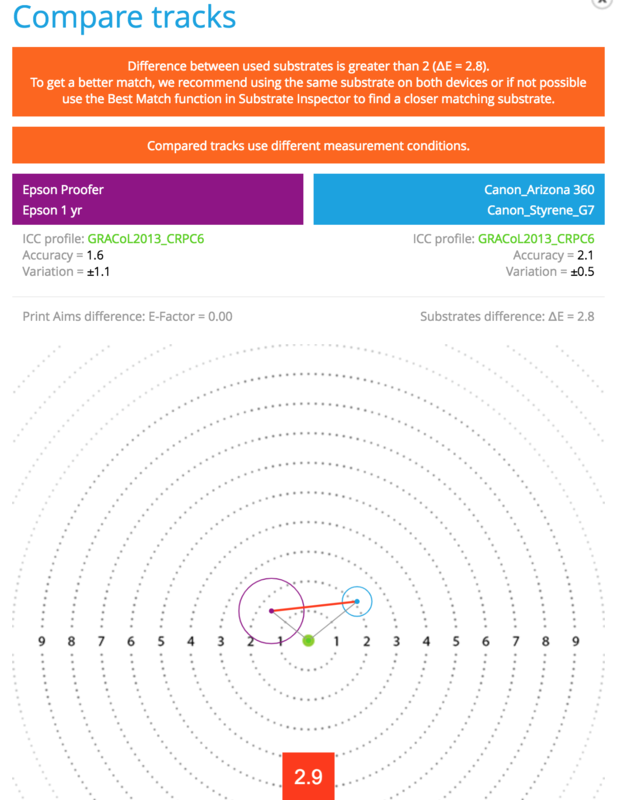 The Green circle in the middle is the GRACoL reference condition, and the purple dot is the Epson, and the light blue dot is the Canon, and it shows the difference is 2.9. ChromaChecker also shows that the substrate is 2.8 delta E of difference and that the measurement conditions (M0, M1) are different, which will contribute to making this number large. By using ChromaChecker Substrate Inspector Best Match feature, the user can find a closer substrate to one or the other, which will improve the perceived difference. This comparison is showing how two printers printed the same spot colors, and how different the spot colors are from one another. The previous display shows how close each printer did at matching the customers' tolerance, but this report shows how close any two printers printed to one another. This is a very unique report helping a brand company directly recognize how much variation is really occurring when different printers attempt to print the same colors.